TruMotion reflects the benefits of our detailed backlight scanning and enhanced frame rates to reduce blur and yields crisper details. It€s a boon to all fast-action video, but most especially sports, so you won€t miss a thing. 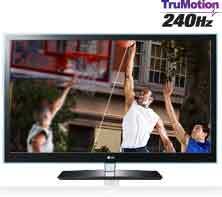 LG TruMotion 240Hz is available on select-model LCD TVs. Find and enjoy what you want to watch instantly at one place. Live TV broadcasts, VoD services, and apps – they€re all incredibly easy to find. You can also receive recommendations that introduce you to even more great content on LG webOS TV. 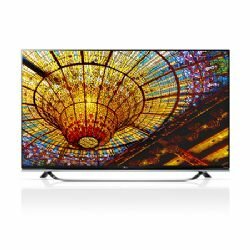 The world€s most comfortable 3D is also the sharpest 3D in 4K resolution. With its quadrupled resolution, the 3D images are more splendid than ever and the realism more lively than ever.